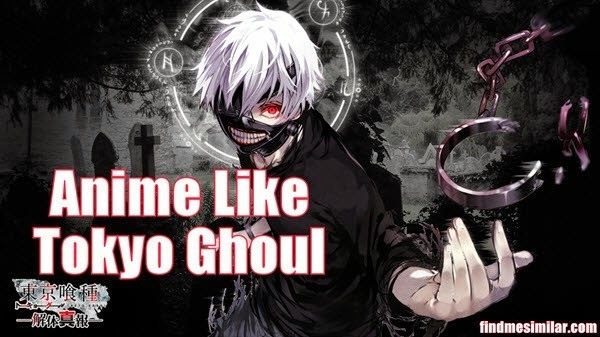 17 Anime Like Tokyo Ghoul '+g+"
Tokyo Ghoul is an dark fantasy anime series set in modern day Tokyo where people are gripped in the fear of ghouls that lives by consuming human flesh. The story follows Kaneki Ken an ordinary young boy who becomes an half-ghoul after his encounter with Rize Kamishiro. Ken must learn to harness his new found powers in order to survive. If you love watching more dark themed horror anime like Tokyo Ghoul check these 15 anime recommendations that have similar feel of Tokyo Ghoul in their own way. If you can think of any other anime similar to Tokyo Ghoul do mention it in comments so that we may update this list. Parasyte: The Maxim (Kiseijuu) is a sci-fi horror anime series that follows the life events of 17-year-old Shinichi Izumi who finds himself caught in the battle between humans and parasites after meeting "Migi" (meaning 'right' in Japanese) a worm like alien parasite which failed to takeover his body and settle for his right hand instead. Set in 2113 Dystopian world where every citizen are scanned for their Psycho-Pass (a system that analyze the criminal intent of a person) Akane Tsunemori joins as an police officer who must pursued and apprehended individual with high levels of Psycho-Pass along with the help of Enforcers. Deadman Wonderland follows the young Ganta Igarashi who is wrongly convicted for the death of his classmates and is sent to the dangerous and mysterious prison where is forced to take part in brutal death matches with other death row prisoners. Gantz is an anime series with a heavy dose of violence and sexual content where the recently dead people are resurrected and thrown into a game and are forced to kill aliens and robotic monsters to survive. People are dying at an alarming rate in a small and boring Japanese village, and the villagers soon find out that it is the work of Shiki a vampire like undead people who can only survive on the human blood.